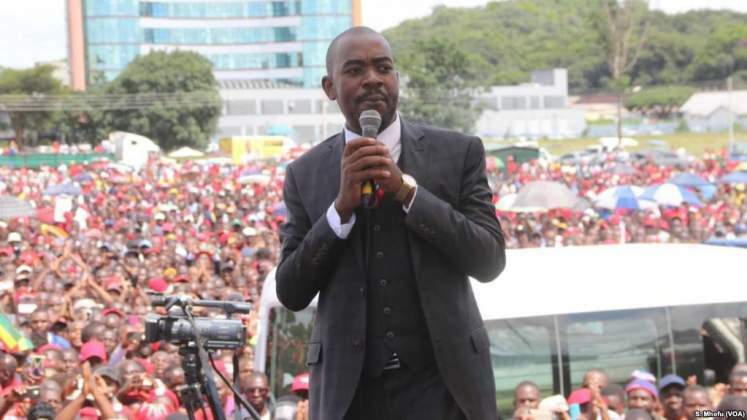 MDC Leader Nelson Chamisa has reportedly taken a spiritual sabbatical to launch a spiritual attack on the evil altars that are behind Zimbabwe's woes, we reveal. A source within the MDC informed us that the 40 year old MDC leader believes God will assist him in fixing the country and bring about the much hyped dialogue between ZANU PF and MDC. "Yes the President is on a spiritual sabbatical and is interceding for the country." The source said. "As you know that the President is a prayer warrior I believe he is taking territories in the spirit realm and is covering much ground to restore this country through destroying the altars that belong to witches and wizards. "its not easy an easy journey for the President but he is a strong prayer warrior. While all this chaos is happening he's in prayer mountain." The source also revealed that the slogan created by Chamisa during the elections that #GodIsInIt was not a political slogan but a belief based on Chamisa's spiritual conviction that God is in charge. "When the Presidnet said God Is In It he was not joking. Look now because the results were stolen and we allowed people who have contact with evil altars to rule the country has plunged to a chaos. We need to go back to God and the only person that can lead that is President Chamisa." The revelations come at a time when the leader of Faith In God Ministries Eagle Life Assembly Prophet Blessing Chiza prophesied that Chamisa will become President of Zimbabwe in 2019. "As a prophet God shows me that Chamisa has a small key that he was given by God which is very powerful in the spirit. They must know that he is spiritually deep/mature; a born again and spirit filled Christian and he is an anointed man of God. Once they start dialoguing, we will start to see things changing in this country. If that dialogue does not happen the baby that I saw in that previous prophecy, will be taken deeper into the sea- Zimbabwe will go to a point of no return. I think Ramaphosa understands what I am saying." Prophet Chiza said.